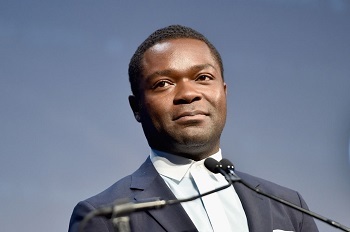 David Oyelowo's breakout performance was playing Dr. Martin Luther King Jr. in 2014's "Selma." He got a Golden Globe nomination for that role and since then, he's become one of Hollywood's most sought-after celebrities. He stars in the new goofy, action comedy "Gringo," alongside Charlize Theron and Joel Edgerton. It's out in theatres this week. In "Gringo," Oyelowo plays a middle manager at a pharmaceutical company that wants to get into the medical marijuana business. He's sent to Mexico to work on developing the drugs and that's where he gets sucked into the underground drug trade. Then more and more chaos ensues. Oyelowo was born in Britain and is of Nigerian heritage - Nigerian royalty in fact. He and his family spent some time in Lagos when he was a kid. He says that having lived in two very different worlds at such a young age shaped his ability to code switch, which in turn improved his ability as an actor. He began his career as a classically trained stage theater actor who cut his teeth at the Royal Shakespeare Company in London. Some of his most notable films include "Queen of Katwe," "A United Kingdom," and Disney's latest "A Wrinkle in Time." He talks to Jesse about his decision to move from the UK to the United States, why he knows more about American history than Nigerian history, and why some roles that require him to stay in character even after the camera stops rolling means he can't go home and be around his kids. He also shares some of his thoughts about one of the most outrageous characters he ever played on the short-lived HBO show "The No. 1 Ladies' Detective Agency." Click here to listen to David Oyelowo's interview on YouTube. Heather Graham on her debut as writer and director in her latest film "Half Magic"
We all know Heather Graham as an actress whose career has spanned over 30 years and starred in smash hits like "Swingers," "Drugstore Cowboy," "Boogie Nights" and "Twin Peaks." In her new movie "Half Magic," Graham is expanding her skills as a writer and director. She also stars in the film as Honey - an aspiring show business development executive that starts out as the assistant to an action film star. "Half Magic" is a comedy, but it's also one that speaks to the current #MeToo moment. It highlights the struggle for female artists to make movies about women. It's filled with plenty of outrageous sexist lines that Graham drew from personal experience. Graham also talks to Jesse about how not popular she was in high school. She described herself as awkward and geeky - never the one to be asked out on a date. She gained confidence auditioning and landing parts in school plays. She also shares the mistakes she made in her first go at writing and directing and talks about what she will do differently in those roles going forward. Click here to listen to Heather Graham's interview on YouTube. 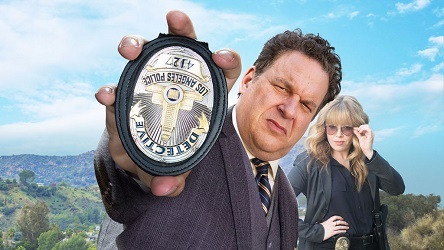 Standup comic and "Curb Your Enthusiasm" actor Jeff Garlin wrote, directed and stars in the Netflix movie "Handsome." It's a detective story that's sort of like Columbo. It's funny, but also has a good amount of interactions that are thrillingly and modestly human. Click here to hear Jesse's Outshot on YouTube.